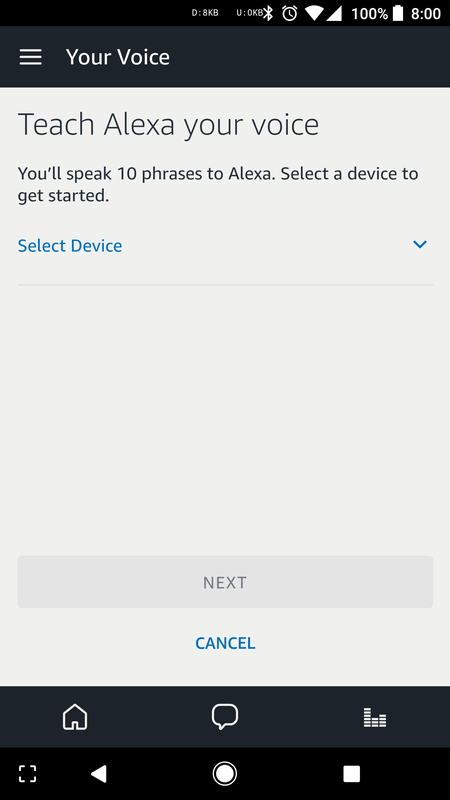 The back-and-forth of feature additions between Google and Amazon on their smart speakers is becoming one long, tedious yet fascinating, tennis rally. "I have this," "Now I have it too, and I added that as well," "I just added that too." It might get tiresome, but it's definitely making things better for all of us consumers. 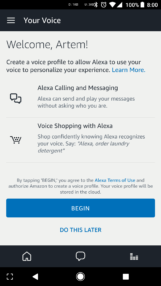 If these two weren't pushing each other that hard, we might have waited longer for Google to implement calling and Alexa to add voice profiles. And this is what we're here to talk about. 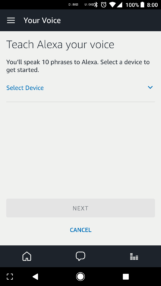 What's probably the only major missing piece of the Alexa ecosystem has now been filled. 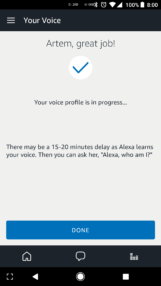 Just like Google Home, you can teach Alexa your voice profile and it will recognize it and answer you with relevant content: your messages and contacts, your music profile, your flash briefing, and your shopping list and purchases without needing a verification. 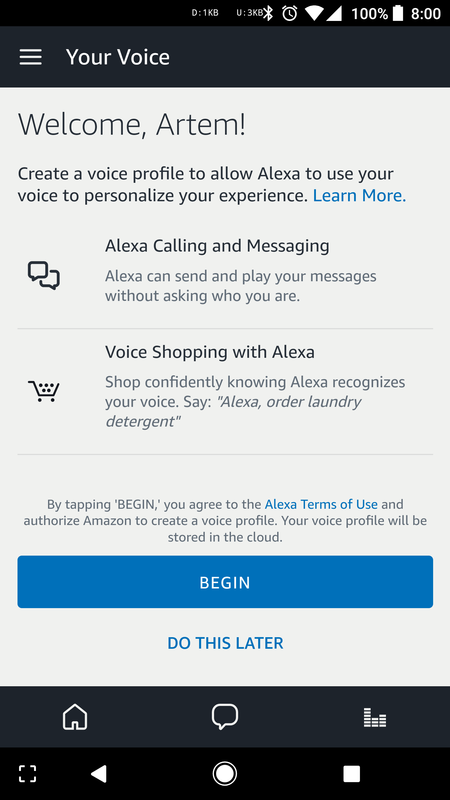 To teach Alexa your voice, you need to have the latest app version (even then, Artem isn't seeing it yet, so it could be a slow rollout), and head over to Settings -> Accounts -> Your Voice, tap on your profile name, and then Begin. 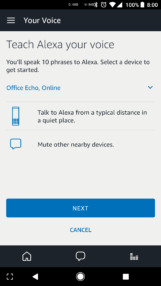 Choose which Echo device you want to talk to and follow the on-screen instructions to say certain sentences and teach Alexa your voice. 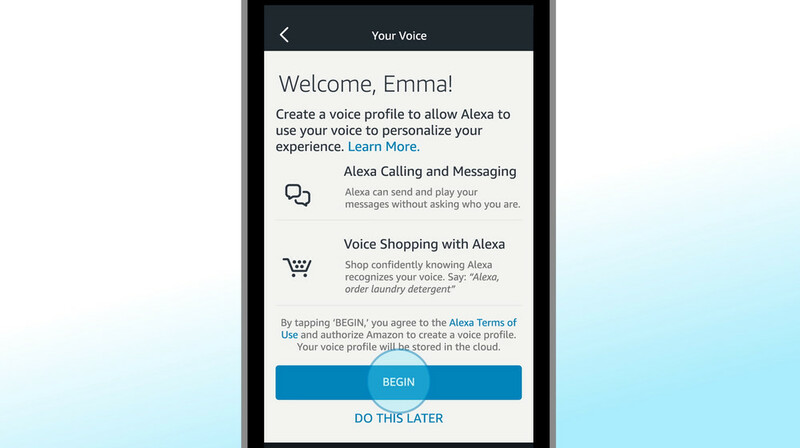 If you want to add another member of your household, they can either do it from their phone by signing into the same account used to set up Alexa and then choosing I'm someone else or on your phone by signing out then back in and choosing the I'm someone else option. 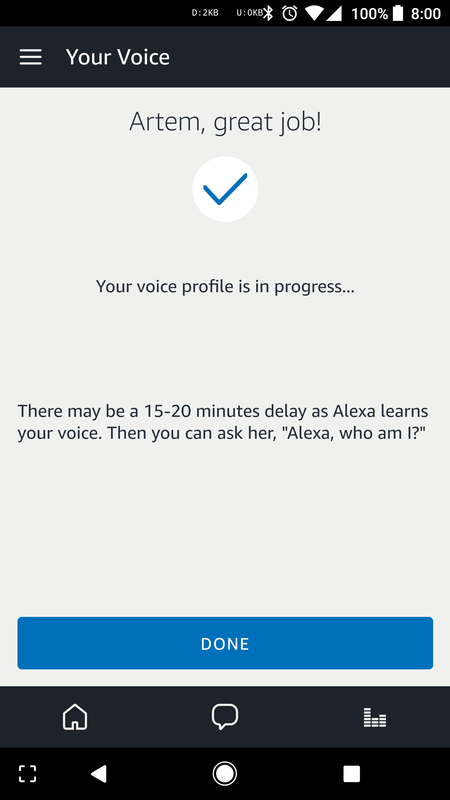 It's definitely an inelegant way to do that and I prefer the way Google Home just shows up for other members of my household since they're connected to the same WiFi and lets them teach their voice. 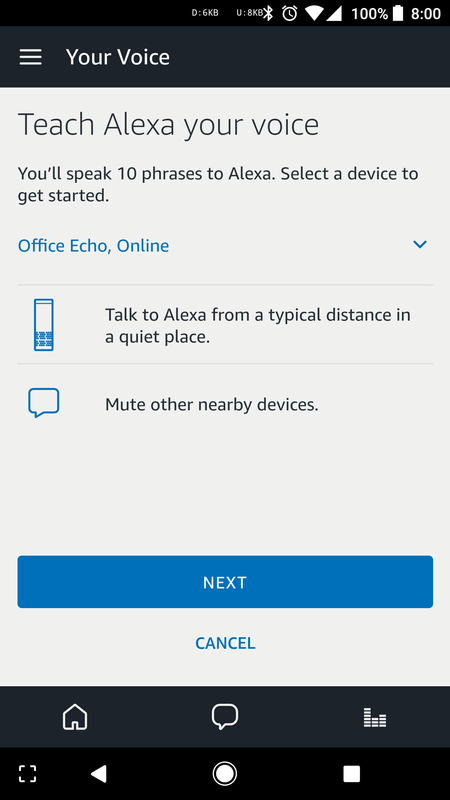 But at least those with Echos around their houses can finally have personalized answers instead of having to manually switch profiles. If you want to see Amazon's demo, you can check out the video at the source link below.